Babassu is obtained from the kernels of the Babassu palm which is found in the southern regions of Brazil. Babassu Carrier Oil contains a high content of lauric and myristic acids which have melting points relatively close to the body temperature. This oil is refined without chemicals making it a wonderful addition to cosmetic products. 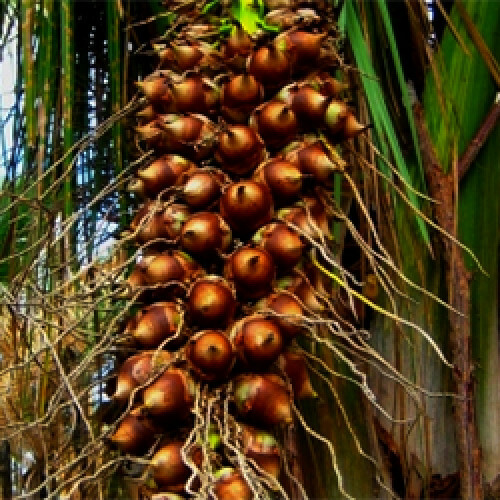 Babassu Carrier Oil has similar properties as Coconut Oil and is increasingly used as a substitute. Babassu Carrier Oil has very little scent characteristic of most carrier oils. Babassu Carrier Oil is a great emollient beneficial for both dry and oily skin. It gently moisturizes the skin without contributing to an oily sheen. It can be used in many skin care products such as soaps, creams, milks, lip balms, and hair care products. Consistency: Solid at room temperature. Product can be placed in a water bath to liquefy. Absorbs into skin at average speed, slight oil feeling left on skin.